Well, yesterday was a wonderful day!! 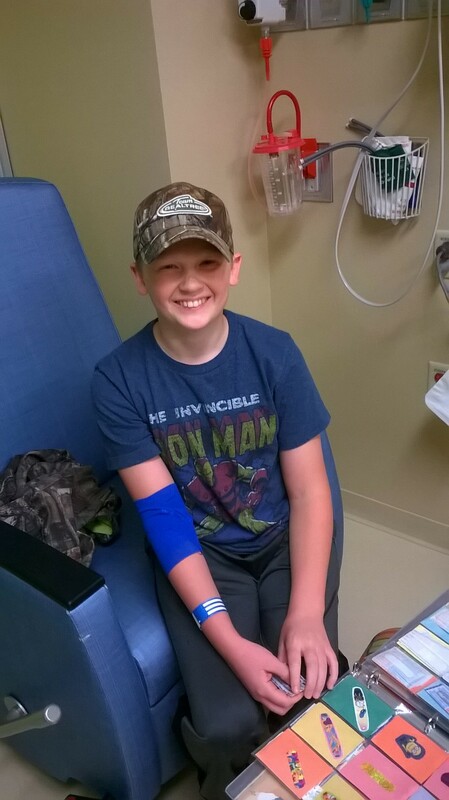 Jacob had his routine MRI, x-rays and blood work down in Green Bay and all was perfect!! We didn’t have any doubt, but it’s still nice to hear and confirm what God has done in Jacob’s life. Jacob is doing really good, obviously. 🙂 Thankful that it’s spring. He did some down hill skiing this winter and a little bit of cross country skiing. He has been turkey hunting with his dad, but no luck yet. They saw some jakes, but he wants to wait for a Tom. 🙂 He’s excited that school is winding down. Mostly to have Spanish done with. School has always come so easy for him, but not a foreign language. I’ve never heard so much complaining from that boy over one thing ever until this. 😉 I think I’ll be more excited when it’s done than him. Lol! We are still so thankful for all of your thoughts and prayers! We are coming up on 2 years post treatment at the end of June. YAY!!! !